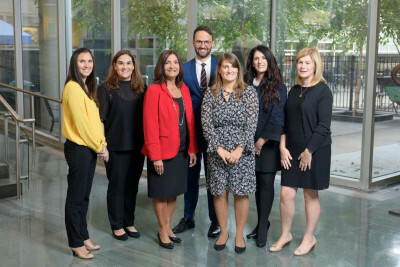 Memorial Sloan Kettering’s Physician Relations Team is your direct connection to MSK and a resource for you and your practice. With the expansion of our regional network, MSK is now closer than ever to you and your patients. We can introduce you to our physicians, provide information about the services offered in your area, and make the referral process as seamless as possible. We will also keep you up to date on the numerous clinical trials we offer and inform you of our latest research and treatment advances. We’ll work together with your office to ensure the valuable feedback you share regarding your experience with us is communicated to our leadership. To learn more about how we can support you and your practice, email us at physicianrelations@mskcc.org. Click here for information assets on our services.